Lorraine M. Tuttamore, 93, of Bellevue passed away Thursday, September 20, 2018 at The Willows at Bellevue. She was born June 16, 1925 in Brooklyn, New York the daughter of Norman J. and Mary A. (Walsh) Winser. 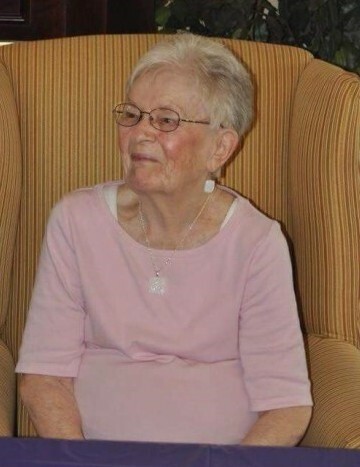 Lorraine was a member of Immaculate Conception Church, Bellevue; the former Daughters of Isabella; 4-Count Young at Heart; She served as treasurer of the Rotary Commons Activity Fund and was awarded “Volunteer of the Year” in 1997 at Rotary Commons. She enjoyed playing cards, quilting, making baby hats for Bellevue Hospital Newborns, and swimming. She is survived by her sons: George (Becky) Tuttamore Jr. of Delaware, OH, Gary (Linda) Tuttamore of Bellevue; a daughter, Cheryl (David) Long of Fremont; 12 grandchildren; and 17 great grandchildren. In addition to her parents she is preceded in death by 2 sons: Glenn Tuttamore and Gregory Tuttamore; her former husband, George Tuttamore Sr., and brother, Leo Winser. Friends will be received on Sunday, September 23, 2018 from 2-6 p.m. at Foos & Foos Funeral Service, 151 Yorkshire Place, Bellevue. A funeral Mass will begin at 11 a.m. on Monday at Immaculate Conception Church, 231 E. Center Street, Bellevue. Burial will follow at Bellevue Catholic Cemetery. Memorials can be made to Immaculate Conception Church.